What’s on in Term Four? Sustainability addresses the ongoing capacity of the Earth to maintain all life. It is both a goal and a way of thinking about how to progress towards that goal. 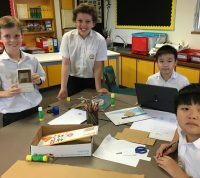 The Every Week is Earth Week unit of study this term provides students with the opportunity to examine different views on how to protect environments and how to use resources and manage waste sustainably. They become aware of why the environment needs to be cared for and consider how they can contribute to this, laying foundations for active citizenship and a way of thinking about sustainability. 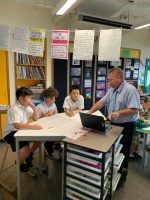 Throughout the year, we have certainly seen development in student’s writing and a greater capacity to talk through and about their writing using the metalanguage of English. This term we will explore context. Everything is interpreted through some context. It shapes the meaning in all communication. The meaning of communication is shaped by the context in which it is delivered and that meaning can be completely altered by delivering it in a different context. When your message is delivered in one context, but received in another, it likely leads to miscommunication. In this unit of inquiry, students will develop understanding of context, exploring how texts can be responded to and composed differently in different personal and social contexts. We have started the term with the concepts of chance and data. Students are developing their mathematical understanding of these concepts through open-ended problems. 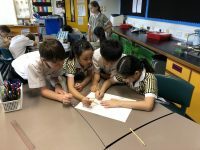 They work collaboratively to test their thinking, make connections, build explanations and reason with evidence. Students have enjoyed testing whether a game is fair or unfair. Our next iMaths investigation is titled ‘Aussie Adventures’ and focuses on the concepts of location (mapping), calculations with larger numbers (distances) and representing data. This unit integrates Geography and Maths in the real-life context of mapping a trip. 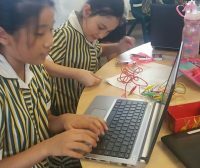 Coding and Computer Sciences are fast becoming key priorities in education and the Year 4 Team are excited about the opportunities coding offers students. 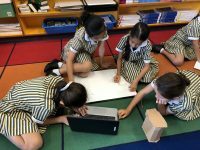 Not only does it allow students to think critically and creatively, it promotes problem solving and uses Mathematical concepts and computation to create. 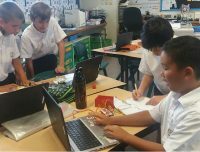 This term students will participate in a STEAM project where they will incorporate technology, coding, art and mathematics to create an arcade game. They will use design thinking and we hope this project will spark an interest in Computer Sciences. 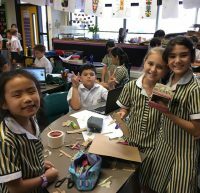 We have also called upon the expertise of Ms Cridland and Ms Carini to assist in the design process and help students use the tools and resources available in the Visual Arts and Design Technology departments. We hope you will come along to our games arcade on Monday 3 December where student work will be showcased. Everyone in Year 4 is very excited about this initiative. We look forward to inviting you along to play the games coded, designed and constructed by Year 4 students. This is the last week of the Primary Swimming program. It will conclude on Friday 26 October and Year 4 will resume their normal schedule with their allocated PE lesson and Sport on Tuesday afternoon. 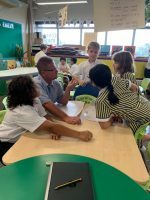 The students had their swim trials last week in the lead up to the Primary Swimming Carnival which will be held at Kwun Tong Swimming Pool on 1 November. Students have to wear their winter uniform by Week 6, Monday 12 November. Blazers for the girls and blazers and ties for the boys.